The provenance is based upon information in "De Genève à l'Ermitage: Les collections de François Tronchin" (Geneva: Musée Rath, June 21-September 15, 1974), p. 146, cat. no. 293. 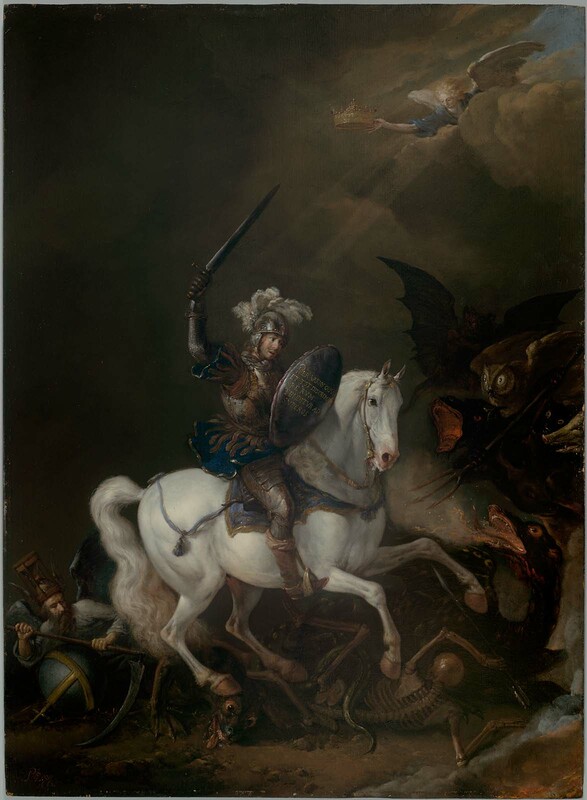 Sold with a pendant also by Wouwerman (representing St. George; presently Musée d'art et d'histoire, Geneva, inv. no. 1942-29). Jacques Eynard was a banker who seems have bought in objects at this sale on behalf of the family. It was in his possession in 1974, when he lent it to the Musée Rath, Geneva (as above, n. 1).